When registering for RootsTech last year, I tried to find more information about Innovator Summit to know if it was for me. After finding only one blog post about it, I decided that my interest in entrepreneurship and technology was reason enough to attend. I have always admired friends and family members who start their own businesses. I respect their courage, inspirational work ethic, and determination. I love to watch ABC’s Shark Tank and learn about people who put their all into a business often started in their garage. Looking for the RootsTech Pass Giveaway Contest instructions? Scroll to the bottom of this post. I listen to the Smart Passive Income podcast by Pat Flynn, whose motto is to make the web a better place with helpful content and earn income online, ethically. I am inspired by Pat Flynn, a devoted dad and incredible entrepreneur who likes to help others become successful entrepreneurs too. In fact, he’s one of the reasons I started this website, as I mentioned in my geneabloggers interview. 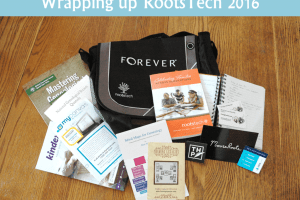 My love for entrepreneurship intersects with my passion for genealogy and the perfect event for all this excitement is the RootsTech Innovator Summit. It’s here that people who are passionate about genealogy and technology gather, discuss new ideas, and network. I’ll share some of my experiences from the RootsTech 2016 Innovator Summit in hopes that it will help you know if you want to attend. I arrived at the Salt Palace on a cold Wednesday morning. I was lucky enough to sit next to Laurie Conklin of Sharing the Past. It was a delight to meet her and exchange twitter handles. In fact, I would not have enjoyed the conference quite as much if I hadn’t checked out all the relevant tweets and contributed my own. If you can’t attend RootsTech in person, be sure to check out all the #RootsTech tweets when the conference is underway. The keynote speakers at the Innovator Summit general session were Steve Rockwood, CEO of FamilySearch International, and Ken Krogue, founder and president of InsideSales. Rockwood inspired entrepreneurs to look at the family history tech industry inside out and upside down. He encouraged us to bring fresh ideas that will increase the positive emotions felt as people engage in family history. He focused on engaging millennials by exporting the emotion, skills and results of genealogists to the rest of the world with applications for people of all ages. He gave a shout out to the Little Family Tree app, created by Melissa Finlay and her husband John. I’m lucky to be speaking at RootsTech 2017 with Melissa about inspiring children to be genealogists (more about that here). Next, I had to decide which of three sessions to attend. At Innovator Summit, there are two categories: IS Business and IS Developer. Since I am not a developer, I chose one of the two business options: “Partner Town Hall with FamilySearch Executives.” As a FamilySearch user, I was interested in this question and answer session. I’m consistently impressed with the innovations coming from FamilySearch! Some of the answers mentioned integration with ancestry, partnering with local genealogical societies to preserve records, a record capture kit, protecting the integrity of a wiki tree, rating conclusions, digitization of microfilm and training for indexing in foreign languages. The next hour offered two IS Developer classes and one IS business class, so I went to that: “DIY Small Business Guerilla marketing Strategies” with Alison Dolan, Lisa Louise Cooke, and Jenna Mills. These three successful genealogy entrepreneurs gave helpful ideas like how to market with little time, content marketing with content themes, and creating keyword-rich mobile-friendly blogs. Next I went to another IS Business class by Tammy Hepps, “Get Your Startup Taken Seriously by a Big Company.” She talked about making strategic partnerships with large companies by being prepared, showing you have been vetted by others, winning contests like the RootsTech Innovator Showdown, and understanding the company’s existing partnerships. Next in the schedule was the Innovator Showdown Semifinal round and lunch. I grabbed a boxed lunch and found a seat to for the Shark Tank style event. Twelve developers shared their ideas to the panel of judges. It was fascinating to see each presenter give their spiel as quickly as possible. Some didn’t finish in time. Some got pretty tough questions from the judges. I was impressed with all the finalists, but these stood out: Ancestor Cloud, History Project, JRNL, Kindex, Scribbitt, Studio by Legacy Republic, TapGenes and Twile. I tried TapGenes but it wasn’t fully integrated with FamilySearch when I attempted it. So far, the only finalist that I actively use today is JRNL.com. The winners were announced on Friday, and you can read about them here. When I went through the expo hall, I took the chance to talk with each finalist in the Innovator Alley. On Friday, one of the research/methodology classes I wanted to go to was full, so I went over to the expo hall and caught several entrepreneurs that I hadn’t talked to yet. My favorite class of the day was given by a family friend, John Richards. His subject was “Entrepreneurship: Validation Precedes the Money.” The old model of business planning is out – it is too costly and time consuming. The new entrepreneurship model is learning-based and focuses on minimizing time through a learning loop. Lower amounts of money are required and more value is created by talking with consumers first, finding out what they need, and building that. Richards suggested that the class read several books, including Alex Osterwalder’s Business Model Generation, Steve Blank’s The Startup Owner’s Manual, and Eric Ries’ The Lean Startup. These book links are all affiliate links. If you click the link and purchase an item, we receive a small commission. Thanks! After the class, several of us gathered around John to ask him our burning questions. “What if I share my idea with a potential partner and they steal it? !” “What should I do if I don’t know any developers but I have a really great idea?” (He said not to hire a developer but find an developer willing to be an equity partner). After talking to him, we discussed among ourselves. We shared some of our ideas with each other and felt camaraderie as a group of potential entrepreneurs. I went home that evening and ordered The Startup Owner’s Manual and read it on the airplane home. It’s a fascinating book with many case studies. Every entrepreneur should read it. I was so inspired that I started creating my own business model and minimum viable product for one of my family history technology ideas. Next I attended an IS Developer class: “Mission Impossible 2: Tough Challenges, Which Need Automated Solutions.” Although I was not familiar with the technological vernacular, I was fascinated by the challenges presented and the roadblocks to solutions. The data required to solve the impossible mission, pre-1850 census data harmonization, is not easily accessible by developers. It seemed a big discouragement to the developers there. This may answer the question why so many of the recent genealogy innovations focus not on genealogical analysis tools but photo and story preservation. Lastly, I attended the Innovator Summit networking social. I was so inspired during the day that I was hoping to meet some potential business partners. I didn’t find any, but did receive some helpful recommendations while enjoying delicious appetizers. I caught up with a few developers I worked with at FamilySearch when I was an administrative assistant in 2008-2009. I met Diane Loosle, senior vice president of patron services at FamilySearch, and several other FamilySearch employees I hadn’t met before. It was an exceptional day and I’m looking forward to next time. Do you multiply or diminish intelligence? Liz Wiseman, a leadership strategist, best-selling author, and inspiring speaker whose recent clients include Disney, Microsoft, eBay and PayPal, Google, and Facebook, is excited to share highlights of what she has learned as the keynote speaker for the 2017 Innovator Summit at RootsTech. Innovator Summit is a one-day event for developers, entrepreneurs, and innovators who want to explore business and technological opportunities in the multibillion dollar family history industry. The Innovator Summit will be held on February 8, 2017 at the Salt Palace Convention Center in Salt Lake City, Utah. Liz Wiseman teaches leadership to executives and emerging leaders around the world. She is the founder and president of the Wiseman Group, a leadership research and development firm headquartered in Silicon Valley. She has been listed on the biennial Thinkers50 ranking for 2013 and 2015 and named one of the top 10 leadership thinkers in the world. Wiseman is the author of three best-selling books: Rookie Smarts: Why Learning Beats Knowing in the New Game of Work; Multipliers: How the Best Leaders Make Everyone Smarter; and The Multiplier Effect: Tapping the Genius Inside Our Schools. When I received this announcement last week, I immediately downloaded Wiseman’s book “Multipliers” to my Audible app and began listening. As a former teacher, I was naturally more interested in her book about tapping the genius in schools, but it wasn’t available in audio-book format. You can probably guess that as a mother with a newborn and two other young children I don’t have much time to sit down with a book (unless it’s Ella Bella Ballerina), so I do most of my “reading” with Audible. It’s wonderful to hear groundbreaking research and important ideas as I drive my daughter to ballet class and fold laundry! Wiseman’s advice in Multipliers are so intuitive and valuable. It applies not only to leaders in the business world, but to all kinds of leaders – especially parents and teachers! Tapping into others’ native genius and helping them reach their full potential is something every parent wants to do for their children. I am looking forward to hearing Wiseman’s talk in February and wonder if she will discuss family history along with her leadership advice. Multiplying the collective family intelligence for solving family history and preservation problems could be a pertinent subject. At Innovator Summit next year, four tracks will be available instead of just two: Entrepreneur, Marketing, Development, and Start-up Funding. John Richards will be back again, speaking about “Venture Ownership and Capitalization Tables,” and Tammy Hepps is lined up to talk about “The Minimum Viable Product for Genealogy Startups.” You can view other class sessions for Innovator Summit here: RootsTech 2017 Schedule. So have you decided whether or not to attend Innovator Summit? 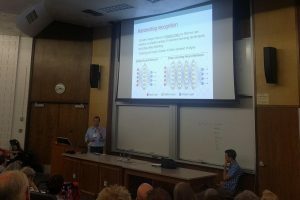 Last year, I thought I would be most interested in the advanced methodology classes about how improving genealogical research. I was wrong – I liked the Innovator Summit sessions more. If you are interested in attending any part of the conference, please enter my contest to win a free RootsTech plus Innovator Summit 2017 pass (instructions below). The RootsTech plus Innovator Summit 2017 pass includes 4 days and is valued at $299. The contest begins today and ends on November 29 at 11:59PM MST. One lucky winner will be notified by email after the contest closes. If you win and have already purchased a RootsTech pass, you will receive a refund. What app, technology, product or service do you wish for in the family history and genealogy world? What genealogy problem would you like to see solved by technology? What is your favorite software, app, or tech tool for genealogy? Share this contest with developers, entrepreneurs, or anyone who might want to get in on this multi-billion dollar industry. 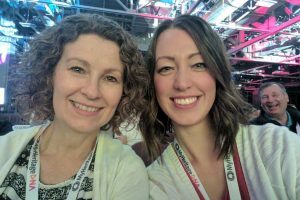 Disclosure: As a RootsTech ambassador, I received free registration for the conference in order to promote the event through blog posts and on social media. Last year, I was not an ambassador and I loved it! I’m happy to be promoting the event. Nicole Dyer is a genealogist, lecturer, and creator of FamilyLocket.com. She is the author of "Find Names for the Temple: A Step-by-Step Method for Success" and co-author of "Research Like a Pro: A Genealogist's Guide." Nicole speaks regularly at genealogy conferences and local events. She is the publicity chair and a steering committee member at the Pima County Genealogy Society. She specializes in Southern United States and Confederate soldier research. She holds a bachelor's degree from Brigham Young University in History Teaching and taught middle school for one year before her children were born. She and her husband, Lance, live in Tucson, Arizona with their three children, ages 7, 4, and 1. Nicole teaches family history storytime for preschool age children at the Tucson Family History Center and consults in local middle schools during units on family history. My favorite tools are both RootsMagic as well as Snagit. I would be lost without my data on RootsMagic and struggling to take screen shots of some resources that you can not download. Gigi, I agree that screen shot software is AMAZING! I like the Evernote Web Clipper. I haven’t tried Snagit but it looks even better. I want a product that will sort my DNA matches on all my sites, search for redundancy, overlaps in cm and sort them based on specific family lines. Jen, thank you! And wow, you are so right – genetic genealogy is booming and it would be great to have some kind of command center to organize it all. My biggest concern for you genealogy right now is to break through a brick wall that my family has faced fro decades. One of my family’s lines leads us to Russia, where our ancestors were Volga Germans. We have no records for those people, thus the lines end there. I’d love for all those records that might be stored in a church or public facility to be translated, digitized, and made available for use! They are accepting volunteers and beta testers right now and it looks very promising. Libraries and archives are supposed to “train” the software by transcribing 30-50 pages of text and then the software will be able to attempt automatic HTR on additional pages. First, I really liked your article. My daughter is an English / Literature teacher, and she had mentioned that I should put Wiseman’s book “Multipliers” on my read list. I would like to see a smartphone app that could link up with the “Family Tree Heritage” software on my desktop computer. That way, I could access data / information that I have at home when I am on a research trip. Thank you Mike! I hope you enjoy reading Multipliers. I have learned so much and even applied it to my co-ed volleyball team…haha. We almost won the championship with everyone’s collective intelligence being multiplied! I love genealogy smartphone apps. Great suggestion, the more genealogy apps the better! I enjoy checking my tree with the FamilySearch Family Tree app as well as the Ancestry.com app when I’m at the doctor’s office or waiting in the school pick up line. They’re great for reviewing sources and record hints. My favourite tech tool for genealogy would have to be my iPad. It’s compact size make it easy to carry most places in a handbag. With features like the camera, scanning apps, Evernote, Ancestry, spread sheets and many other apps I can travel with just about all my research including digital copies of material saved over time. Access to thing like research logs avoids duplicating research when out on the road. It is so useful in so many ways. The way it shares between devices. Or how it stores websites in an app called pocket for reading on planes or when internet access isn’t happeming. Or collecting feeds automatically when favourite websites are updated. The list is nearly endless. I love my iPad. Wonderful summary of why compact tools are a genealogist’s best friend. Thanks for sharing, Fran! I haven’t used a lot of apps yet, but so far the one I would be lost without is FamilySearch’s family Tree. I can pull up my complete tree to verify facts or share with someone I’m talking with. Or I can snap a photo at a cemetery, when visiting a relative’s home or find a document that I want a copy of. I have been able to save audio recordings of older relatives just by starting a recording and laying the phone down. I get every word, and the storyteller isn’t distracted by a traditional recorder. Jennie, I agree that the FamilySearch apps are indispensable! I have used the Memories app for audio recording family members telling stories and it’s great. Thank for sharing! My favorite app right now is Family Search because it is so versatile. While I have a few frustrations with it, I love that I can share and see other family members’ research and memories. I also love that I can just take the app to the temple and do family names at the temple on he fly even if I forget to bring my papers. Being able to collaborate and see each others’ memories is wonderful! I especially love discovering new stories that were passed down to other descendants. FamilySearch is such a treasure trove. I love Rootsmagic software! I also love FamilySearch. But I wish we could better coordinate with family members and not create so many duplicates with living people. I heard they were working on something like that but I can’t wait for it to happen! Thanks for writing this and for the giveaway. You’re welcome Alexis! I agree that it’s so much better when we can collaborate. I hope new developments will help with the duplicates of living people issue. 1. People too often don’t provide a source. 2. Too many fail to engage in any kind discussion. 3. Sometimes it seems like there is no rhyme or reason to why someone makes a change. 4. You blink and John Smith becomes James Brown and has a whole host of new kids and a new wife. 5. The notes section is filled with cryptic messages that you would need Robert Langdon to translate for you. Jacob, I agree that I would love to see more communication and discussion on FamilySearch! Once, I messaged everyone I could find who had made changes to a certain family to see if I could track down any sources or find the owner of the family bible. About half of them did get back to me! Nicole, that is great news! Did it lead to any useful information? I’m always curious about whether reaching out to folks is a good use of time. I love the Little Family Tree App. It is great for the kids to play and learn about their ancestors. I wish for an app or something (better then GedCom) that would analyze all of the DNA results for all of the family members that I have been testing over the years. This would include matches and people who are interested in sharing and who will respond to requests and/or emails/contact. I really love ancestry.com, familysearch.org, kinpoint.com, puzilla.org and the StoryCorps app for doing family history work. They are all great and have different and wonderful features! Thank you all for entering the RootsTech pass giveaway! I enjoyed hearing all your favorite tech and family history technology wishes. I used random.org to choose a winner and the winner is: Alexis Maurer! Congratulations Alexis and I hope to see you at the conference. We are mother & daughter professional genealogists sharing ideas for finding ancestors and keeping them close to the heart. Check out our ‘how to’ articles on the blog, then check out our services page for professional research assistance. We are members of The Church of Jesus Christ of Latter-day Saints. Read more about us here. Thanks for visiting!